Address: 1st Floor, Block V3, Sunrise City South, 23 Nguyen Huu Tho Street, Tan Hung Ward, District 7, Ho Chi Minh City, Vietnam. LAC HONG VOYAGES a wholesale Tour Operator (Inbound & Outbound). The Company’s Management & Staff Total 28. Our Company is totally dedicated & committed to provide top quality & prestigious service which caters for a wide range of our products available to the retailer’s discerning clients. Our Indochina packages are priced at most competitive rates, due to the close business relationship with most hotels & industry suppliers. LAC HONG VOYAGES provide a full spectrum of products & services in Vietnam, Indochina. Philippines, Thailand & Indonesia. Our Inbound & Outbound business portfolio based on Wholesale & Retail includes: Leisure, Individual & Group, Land arrangements, Domestic Tourism, Sightseeing, Wellness & Spa, Ticketing, Adventure, Premium Tours, Events, Incentive& Meetings (MICE). Lam Soon is a household name in South East Asia, known for its quality products and strong brand management skills. With strong brands and extensive sales & distribution network, it is recognized as a major Fast Moving Consumer Goods (FMCG) player. From its beginnings, it has grown steadily over the years and today, it has operations in Singapore, Malaysia, Thailand and Vietnam. 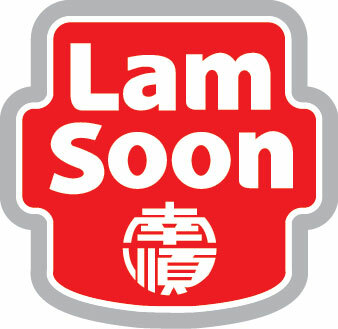 Lam Soon Group business activities comprise of plantation/milling, refining of cooking oil to the manufacturing of margarine, specialty fats, soap and detergent and oleochemicals. Our products are manufactured to the highest international standards including ISO 9001, ISO 14001, GMP (Good Manufacturing Practice) and HACCP (Hazard Analysis Critical Control Points) awarded to its factories in Malaysia and Thailand. Besides our own brands, Lam Soon also provides contract manufacturing services, especially for soap. Through its many FMCG brands, Lam Soon has cultivated a brand identity that focuses on such characteristics as integrity, trustworthiness, friendliness and approachability. We are continuously rejuvenating our brand portfolio andintroducing new line extensions of the highest quality and attractive packaging design in response to evolving consumer trends. The various Lam Soon companies are also involved in localised CSR (Corporate Social Responsibility) programmes as part of our corporate social responsibility. Expert in designing: Housings, Condominiums, Hotels/ Resorts, Educations, Social housings & Conservations. We share a deep passion for contemporary world architecture & our refusal to accept traditional limitations as to what can be achieved within typical constraints to bring high levels of design to every project, large or small. Green design (tropical styles) & design both projects and lifestyle. Le Méridien Saigon features 350 contemporary guest rooms and suites starting from a spacious 38 square metres, each outfitted with signature Le Méridien amenities. Each room has a separate sitting and working areas, French soaking bathtub and rainforest shower. For culinary experience, guests can indulge in the hotel’s three distinct dining venues, including the brand’s specialty restaurant Bamboo Chic, serving an artful combination of Japanese-Chinese cuisine fused with European touches; Latest Recipe, the hotel’s signature dining venue which offers interactive buffets and Le Méridien signature breakfast; and Latitude 10 transforming from day to night to offer fine coffee, fine wines from around the world, and imaginative cocktails. In addition, Explore Bistro, part of the Explore Spa & Fitness Centre, offers healthy food and beverage selections for dining-in or to grab-and-go, while Art Cacao presents signature éclairs, artesian chocolate and sweet bites. Other hotel facilities include over 1,000 square metres of meeting and pre-function spaces, including a versatile 400 square metres ballroom and Le Méridien Fitness and Explore Spa, with an indoor salt water swimming pool offering breathtaking views at its sundeck. Our company specialised in Govt relationships management and business development. 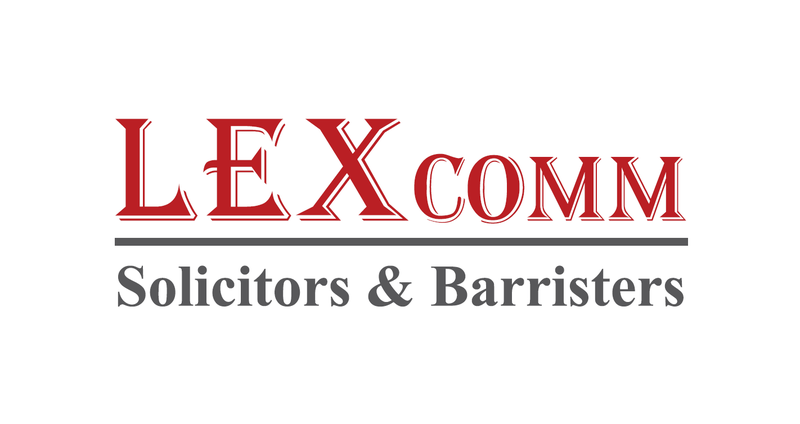 Lexcomm Vietnam LLC is a preeminent full-service commercial law firm with market-leading practices and experienced legal practitioners spread across our Hanoi and Ho Chi Minh City offices. We regularly handle landmark and complex multi-jurisdictional transactions in the Vietnam market. Our firm is distinguished by our top-level technical legal expertise and wealth of domestic market experience, and we are ideally placed to assist international clients in navigating the changing Vietnam regulatory waters on high-profile transactional and contentious matters. We have a particularly strong Vietnam footprint in energy & natural resources, projects & infrastructure, telecoms, banking & finance, debt & equity capital markets, funds management, mergers & acquisitions. In addition, dispute resolution practice, particularly domestic & international arbitration, is a strategic focus for us. “Links International is an award-winning industry leader in innovative human resources outsourcing in Asia. Links International was established in 1999 and has offices in Hong Kong, Singapore, Shanghai, Beijing, Macau, Zhuhai, Taiwan, Vietnam and Australia. Links has been voted Best Payroll Outsourcing Partner at the HR Vendors of the Year Awards for 4 consecutive years 2015, 2016, 2017 & 2018. Playing a critical role in the Master Plan of HCMC for expanding to the South, belonging to Southern Key Economic Region, being transition point between HCMC and Mekong Delta, Long Hau IP maximizes investors’ turnover. High quality uniforms, reasonable prices. Creative design, brand positioning for customer. Measuring to fit with the form of each office staff uniforms. Delivery on schedule, committed to the right quality, quantity. LP & Partner is our brand in design consultancy and construction market. Our team include engineers, architects and BIM experts from many different fields in the industries. With an understanding of the project characteristics, professionalism in the design interaction and the combination of modern technologies, we provide feasible and sustainable solutions that meet customer expectations. Our services include: Structural and Geotechnical design, BIM consultancy, MEP and environment sustainable design. We look forward for a long-term business and provide our service for your firm in the future.